Australis Cosmetics is a brand I have been using for years; I'm sure some of my first makeup products were probably from them! Lately, they have been nailing their product releases with on-trend products at affordable prices (i.e. when everyone went nuts for the Contour Kit!) The latest releases follow the trends of colour correcting and the ongoing obsession with highlighting and glowing skin. Like contouring was huge in 2014-2015, lately, colour correcting has taken over the beauty market. 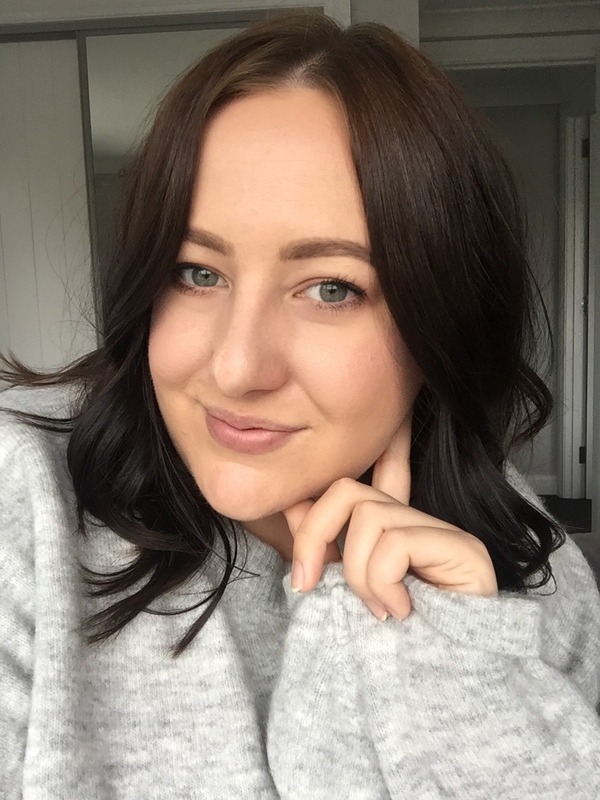 Most of the colour correcting products were being released from more higher end brands, but Australis have brought out two options for those who don't want to fork out a huge amount. 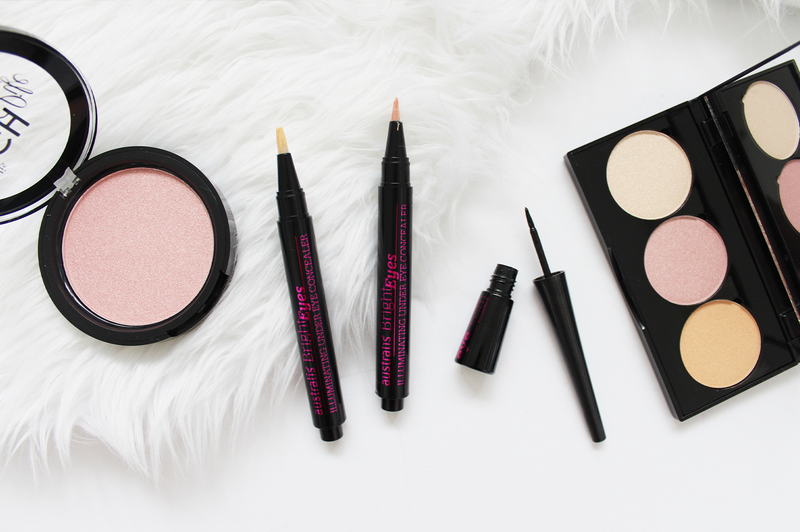 I am all about brightening under the eyes, especially if you need to cover some dark circles, so with the help of these two products you'll be looking awake in no time! 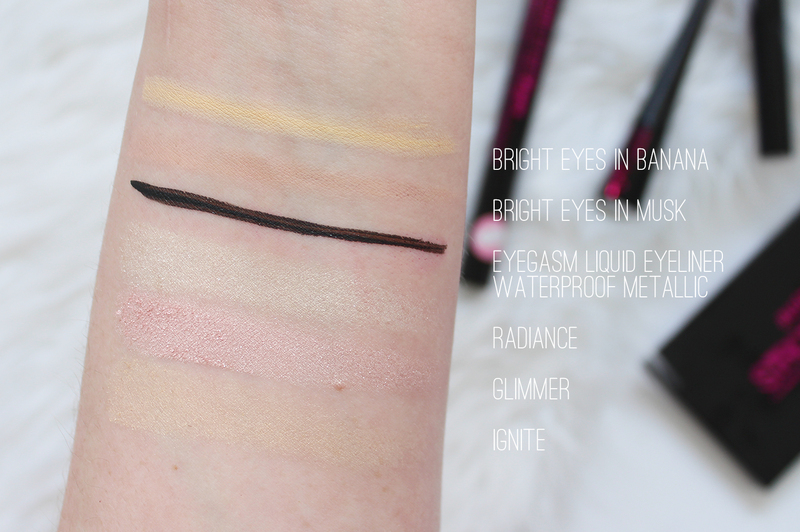 The two shades available in these brush tipped, click up products are Banana, a yellow tone to counteract purple tones i.e. dark circles, and Musk, a peachy/pink to help instantly brighten. Using these two together are a fab match. I find they take a little bit to blend out (a damp sponge helps), and they work really well layered under a traditional concealer for more coverage. Swatches are below. 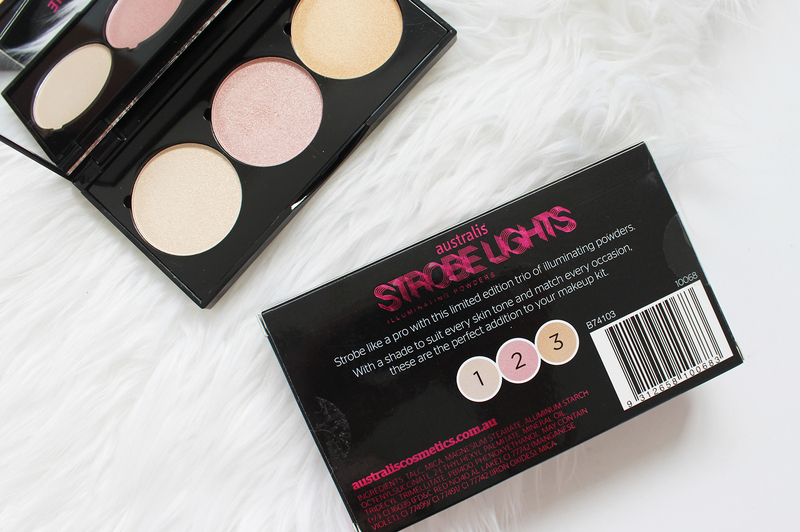 The trend of highlighting is not going anywhere fast (which I am very happy about), and Australis have released three new Illuminating Strobe Powders to help you get some glow. This palette above is a limited edition release and contains smaller sized pans of all three permanent shades available in the full size; Radiance (creamy white), Glimmer (silver pink), and Ignite (light gold). For me, these powders are a little heavy on the chunky glitter and could be a little finer, but I do like the selection of shades. Find all the swatches below. These new products can be found on all Australis counters, and now they ship to NZ (and other international locations) from their Australian site which is very convenient for us. It's AUD $20.00 to ship to NZ or free over $100, and AUD $30.00 to ship internationally, or again free for orders over $100. Have you used any of these products? What Australis products do you love?